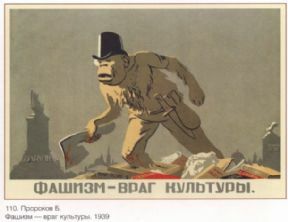 Vintage Russian poster - Fascism - the enemy of culture! The USSR. 20-30 years of the 20th century. Fascism - the enemy of culture!